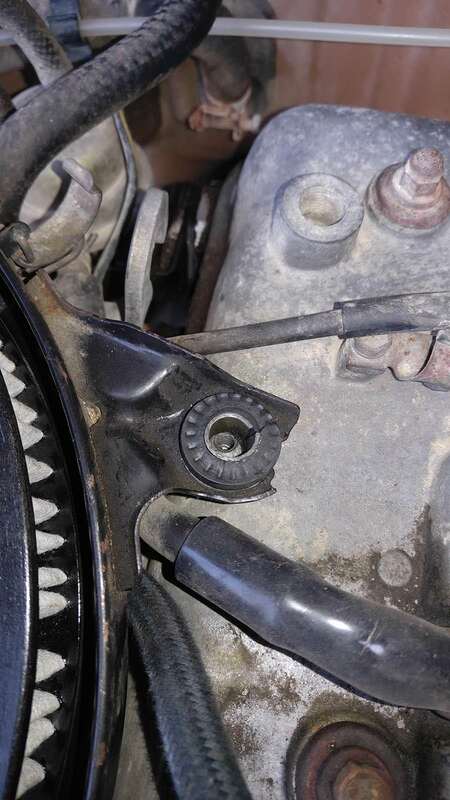 there is a fast idle adjustment next to the regular idle adjustment, but on the throttle shaft assembly (you have to rotate the throttle about 70 degree angle to get a flat screw diver on it.) It is a smallish screw next to to the throttle bell crank (the thing the throttle cable attaches to), on the throttle shaft assembly. 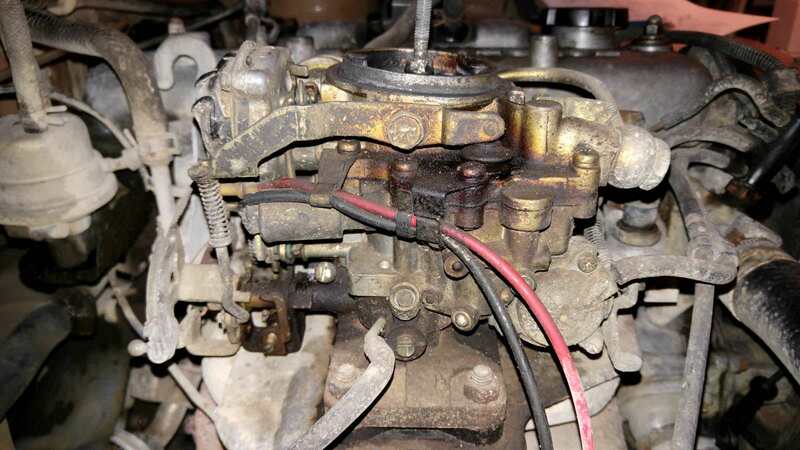 It only engages when the choke is closed, and than as it warms, and the choke opens, than a push rod allows the throttle plate (and idle speed) to be controlled by the main idle speed stop screw. I had a good hour to tinker today, so I didn't follow the entire FSM diagnosis procedure, but upon removal of the aircleaner, I immediately noticed the dryrot in the vacuum hoses. Replaced all of them with new silicone ones. Preliminary result: fast idle function is restored and holding idle at a steady rpm, but on two seperate starts at two different rpm points (1200rpm/1600rpm), at least things are moving in the right direction. Will check the screw Petros suggested if I can't get it to settle down at a fixed point. 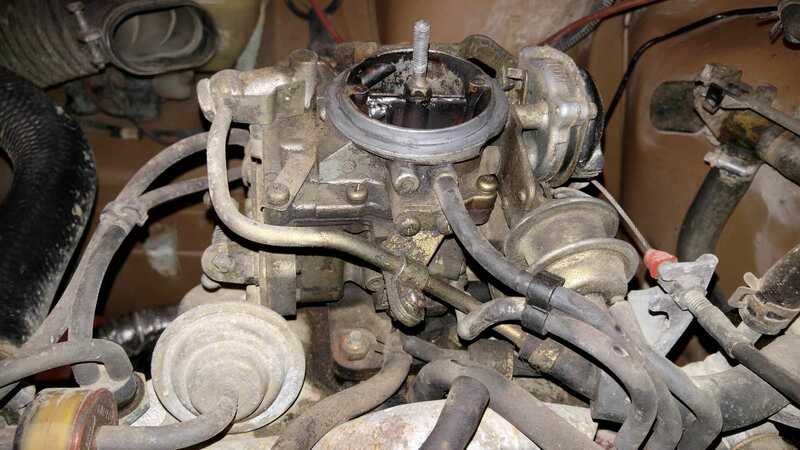 Also noticed the AAP diaphragm is shot, which should account for some of the soot in the carb, probably running a bit rich. Next step is properly checking choke engagement. Takes a while to let the engine cool so I can be certain to test from an ideal baseline, will be doing that over the course of the next couple of days when starting from cold. a vacuum leak will make it act this way. 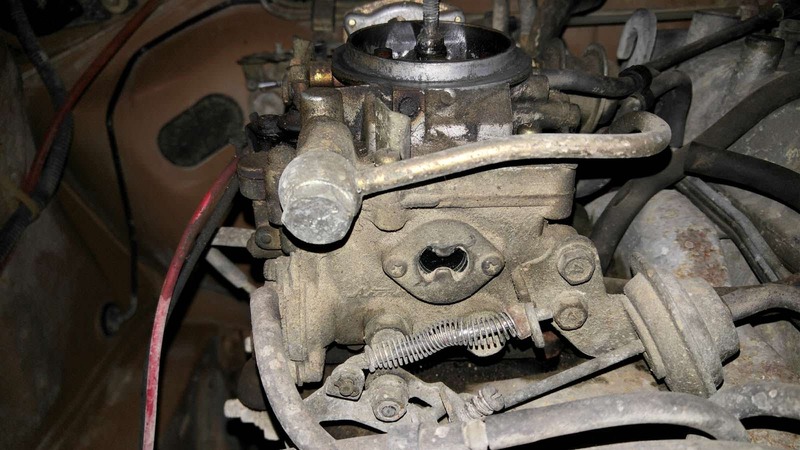 check all the hoses, and all gaskets in the carb and manifold that can result in a vac leak. check any vac operated devices for leaks as well, like the vacuum advance on the distributor. simple vac leak procedure, spray propane or some flammable liquid in a mist around the manifold, vac lines, etc. while it is idling. If the idle goes up when you move to one place, you may have a vac leak there. I think it's pretty much dialed in now. At about 35 degrees F, it needs 2 throttle presses to engage choke and a tiny amount of throttle while cranking and it'll fire right up with a non-fluctuating 1200rpm high idle. Once you know how, it's easy. Ideally I'd like to get it dialed in to the point where it doesn't need those few mm of throttle engagement though. The "problem" being that if you give it a bit too much throttle, this will immediately disengage the high idle, which isn't ideal when I want to let someone else drive the car. Any ideas where I can finetune to get rid of this symptom? I did notice a little bit of slack in the throttle cable, would it be OK to tighten it to where it barely engages the throttle plate (we're talking literally a few mm here)? adjust the slack out of the throttle cable is a good idea, just verify that the throttle returns all the way to the stop when it is warmed up (off the fast idle). More than a few forum members put a little too much tension in the cable and could not find out why it would not idle down after warm up. Actually your cold start process sound about normal, they have always been a bit "baulky" on cold starts in freezing weather, even when new. after warm up it should act normal, no special process to start it. It comes from it having a carburator, which no one has seen on cars produced in the last 28-30 years. 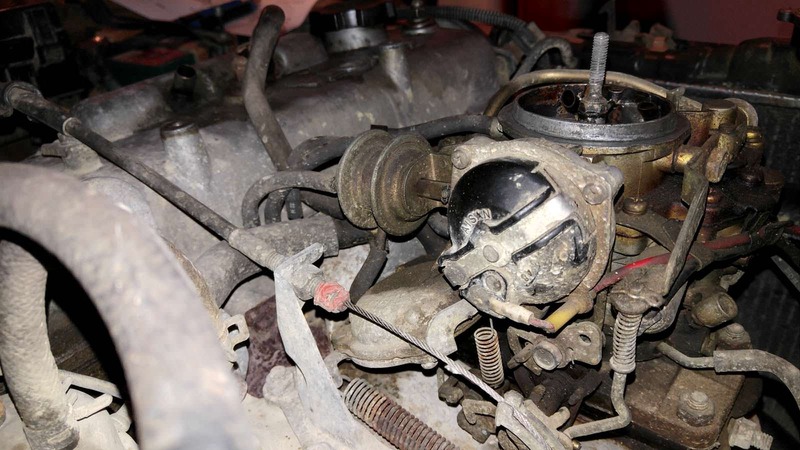 We are spoiled with the modern fuel injected motors that adjusts mixture automatically. Got a rust free rear hatch, nasty little dent on the bottom edge though, will need some work before paint. 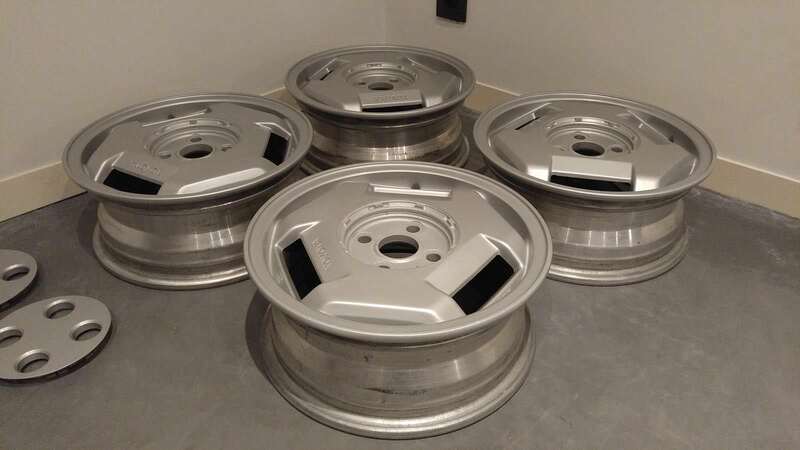 I was also looking for 2 sets of 14" wheels, one for AT tires and one for summer tires. 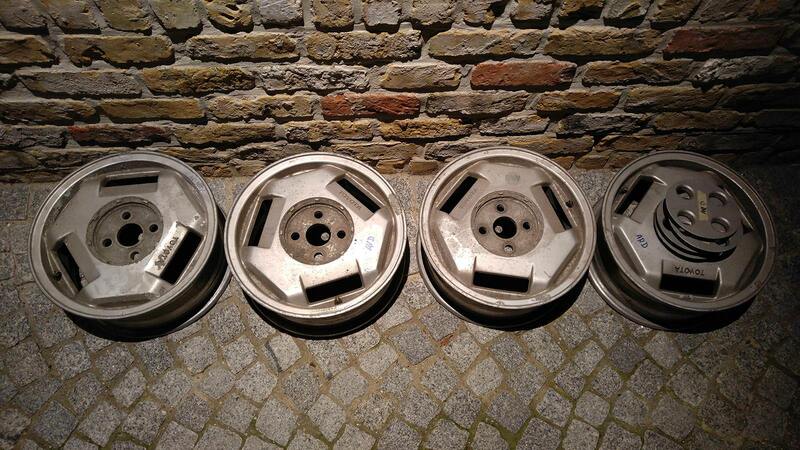 Managed to find a set of rare Speedlines for the VW Golf II Country 4x4 for the AT tires, nice classic rally look. 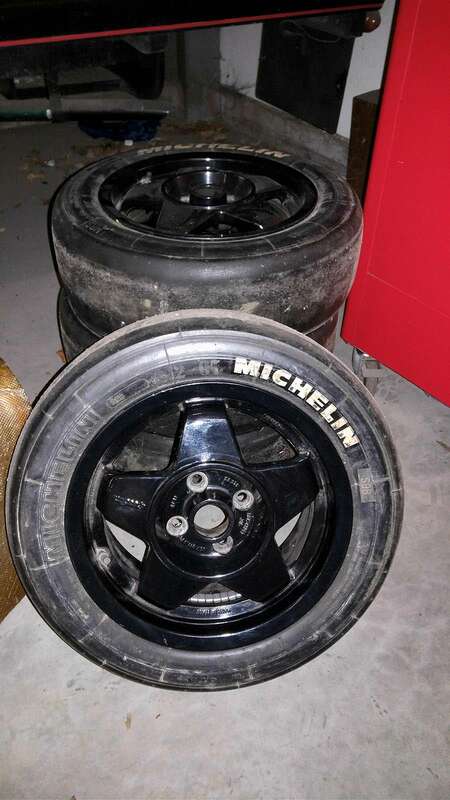 Summer tires will be mounted on a set of MR2 3 spokes. 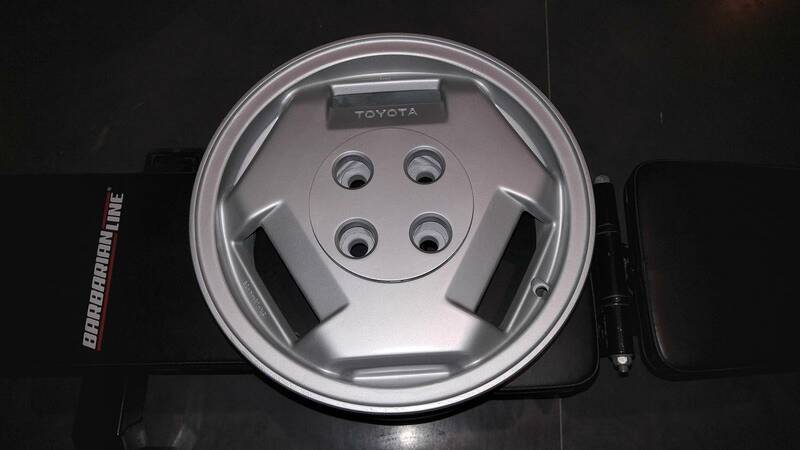 Does anyone know if a member here has recreated the "TOYOTA" decal for the rear hatch? If not, I guess I'll dust off my copy of Adobe Illustrator. Last edited by FRQ on Wed Jan 24, 2018 1:33 pm, edited 1 time in total. 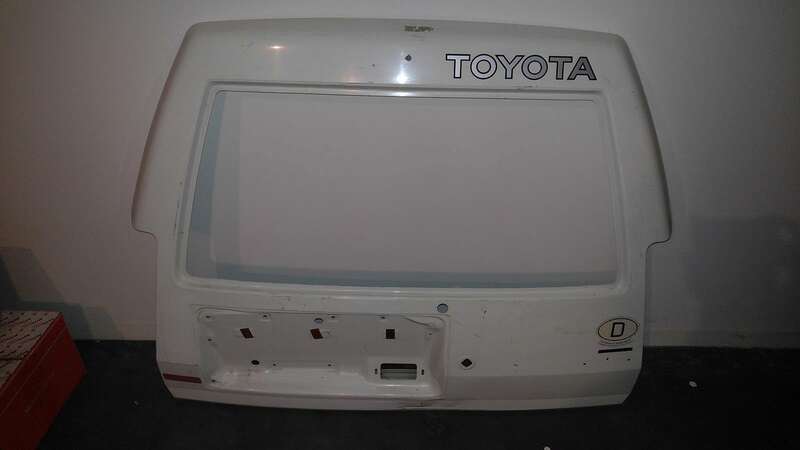 Does anyone know if a member here has recreated the "TOYOTA" decal for the rear hatch? If not, I guess I'll dust off my copy of Adobe Illustrator.. I'm not sure if anyone has, all there is is a picture refrenced.for the exact measurements. If you do decide to work your magic, let me know. I've been looking for one forever. Before painting the hatch, be sure to drill a bunch of holes in its bottom for drainage for the inevitable water which will enter. Also spray that area inside the hatch with rust remover/reformer as a precaution. I'll probably do it myself in Illustrator and have some made up. The used font seems to be a bit wider than the "standard" Toyota all caps font. I will trace along the original, scan to 1:1 scale and probably stretching a vectorized Toyota logo from Brands of the world to similar dimensions will be straightforward. Does anyone know if the OEM decals were always silver with black outline? I know for a fact mine has been replaced once and it is white with black outline. My car's hatch is dark brown metallic though, perhaps dark colors got a white decal? Before paint I will be waxoiling all cavities on the car with Dinitrol Penetrant 1000, including the new hatch. Here is that picture I mentioned. Hi FRQ. I'm not sure if I mentioned - we had a very active french (Marsaille based) group on here a few years ago so you might find some of their information useful. They probably off roaded the Tercel more than anyone and would possibly help you with parts. BTW the wheels look great! @Mattel: I checked out that link but there doesn't seem to be much activity there these days. Currently I'm looking for the part number of the rubber mounts between the airbox and valve cover, I can't seem to find it in the EPC. Mine are dry and falling apart. Any ideas? I cut and slit a small, short piece of rubber hose, wrapped it around the steel spacer and called it good. Seems to be holding up ok.